This high end residential sliding gate installation features a 20' gate weighing 1300 lbs. 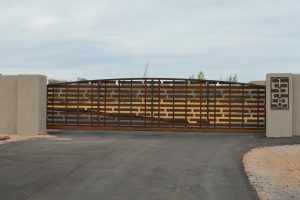 This cantilever gate uses the CGS-350.8P hardware from Comunello. 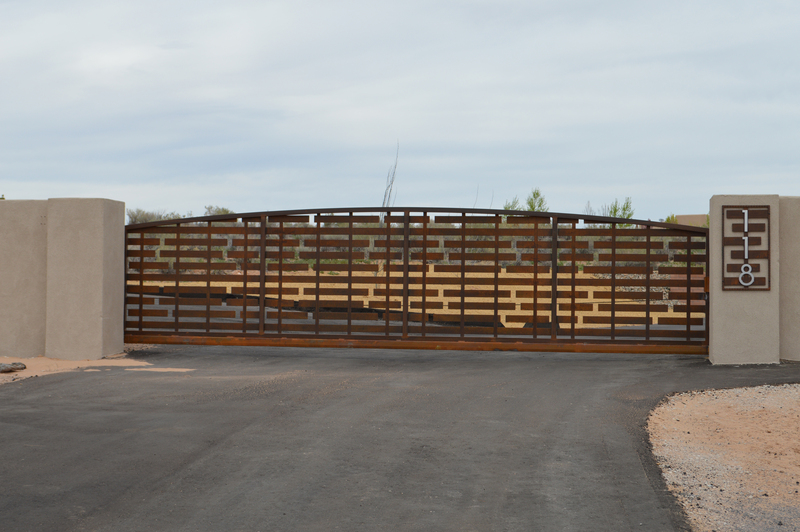 This gate is built with a 2" square tube frame with CNC plasma cut staggered plate design from 3/16". 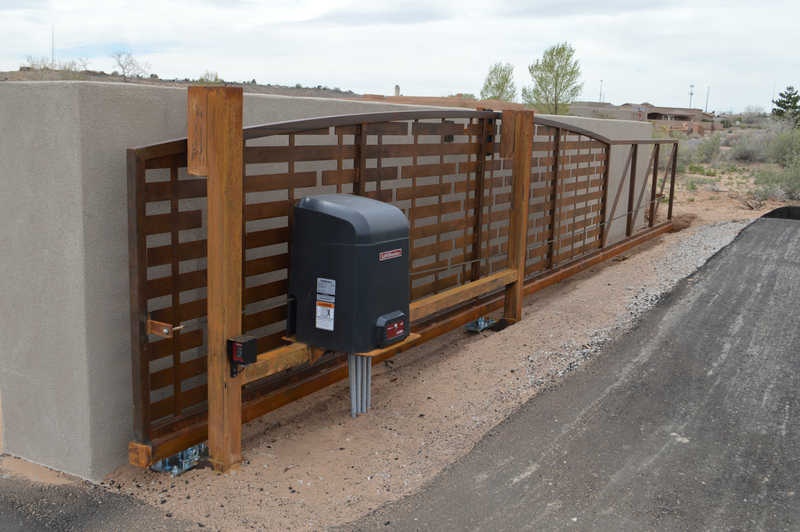 Ironclad Concepts LLC fabricates custom CNC post mount brackets and guide rollers for a clean installation. 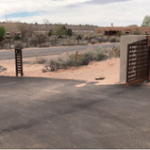 Concealed hardware makes this gate aesthetically pleasing from street view. 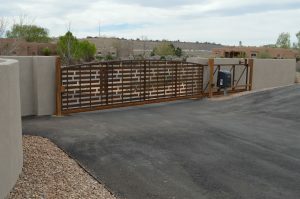 Installed with a Liftmaster SL3000 slide gate operator with Linear AK-11 keypad, BD safety and exit loops.